February flies away really fast. This month I loved skin care and nail products more than makeup. Due to the skin treatment going on, I did not use much makeup on my face. Here are the things I liked and loved the most in the month of February. These cute water decals had been on my nails for more than a week. I absolutely loved it and it feels so light on my nails. I got so many compliments from my friends and relatives (and even strangers too!). If you love everything cute then it is a must have in your nail art kit! Don't forget to use my coupon code MEGW10 to get 10% discount on your order! I loved this lip balm a lot that I keep applying it even my lips do not feel dry. I am so addicted to it. It smells really good and makes my lips super soft, moisturized and gives a nice sheen to it. If you have not tried it then you are surely missing something in your life (Nice dialogue hun!). I love this whole Color Dew range. It glides smoothly over my nails with no streaks. Lavender Love is a pretty lavender pink shade that looks subtle on nails. It makes my hands look fair and pretty! It is also a great shade for office wear! If you are crazy for beautiful fragranced products then you must try this face wash. It smells amazing. It keeps pimples at bay and makes my skin clean and healthy. I think it would suit all skin types as it does not dry out the skin. I would definitely repurchase it to use in summers. It has been my staple product whenever I feel my skin especially T zone very oily. It does control the production of sebum and makes it normal. I love using it as a primer and my makeup stays fresh for a long time. These are must haves for me. I tend to change nail paints a lot and these are quite handy and easy to remove even the stubborn nail polishes. They smell citrus-y and do not dry out the nails. A lovely bronze gold shade that looks absolutely stunning with all traditional dresses. You can create smokey looks using it or can wear it on its own. It has great pigmentation and stays for a long time under primer. I have not included this in the picture because I have finished this soap and threw away its box. I love that the soap is organic and is very gentle on the skin. 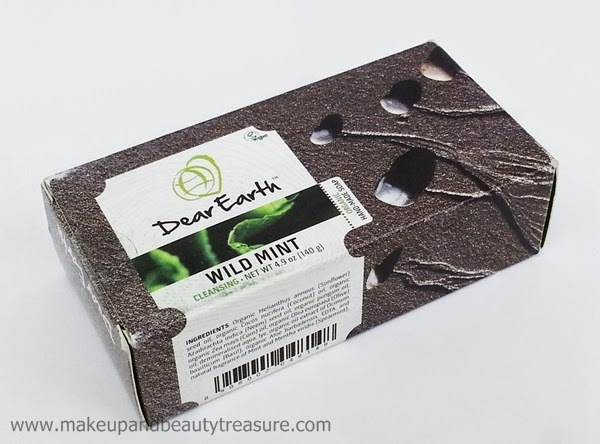 It creates rich lather and has lovely mild mint fragrance. It cleanses the skin effectively without drying it out. The best part is it does not turn soggy in the dish. Now coming to the giveaway! 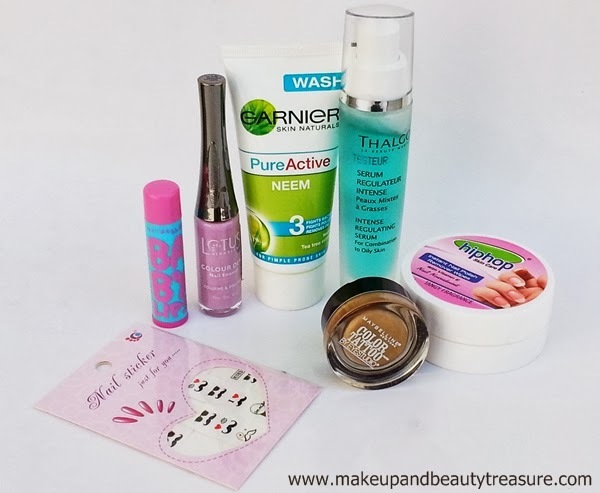 It’s been a long time I did a giveaway so I thought I should give away my favorites to one of my lovely readers. Yes guys one of you would be getting all my favorites products mentioned above and this time the giveaway is INTERNATIONAL! Thank you so much for supporting and reading my blog. The rules are pretty simple but make sure you read them! • There are 2 mandatory entries and you need to complete them to be considered. 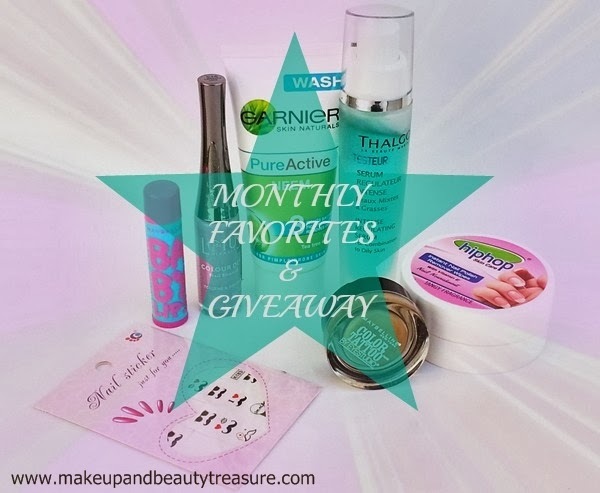 • Giveaway ends on 15th March 2014. A winner will be chosen randomly on 17th March and would be notified via email. The winner must reply back within 48 hours of winning or a new winner would be chosen.